IEEE Gujarat Section (http://ieeegujaratsection.org) comes under Asia-Pacific Region, the Region 10 of IEEE. The Section is currently equipped with 30 student branches, 10 society chapters and 2 council chapters. The Section continually encourages in conducting quality technical events, expert talks, meetings and volunteer development programmes throughout the year. 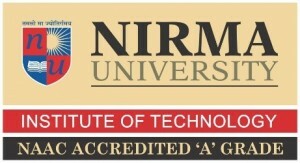 Institute of Technology at Nirma University (http://www.nirmauni.ac.in/) is a leading institute offers multidisciplinary undergraduate and postgraduate programmes in engineering. The academic ambiance provides full scope for development. The presence of the institute can be felt by its alumni spread in national and multinational organizations as well as leading universities across the world.